Ultra-Channel, Software channel strip from Eventide. 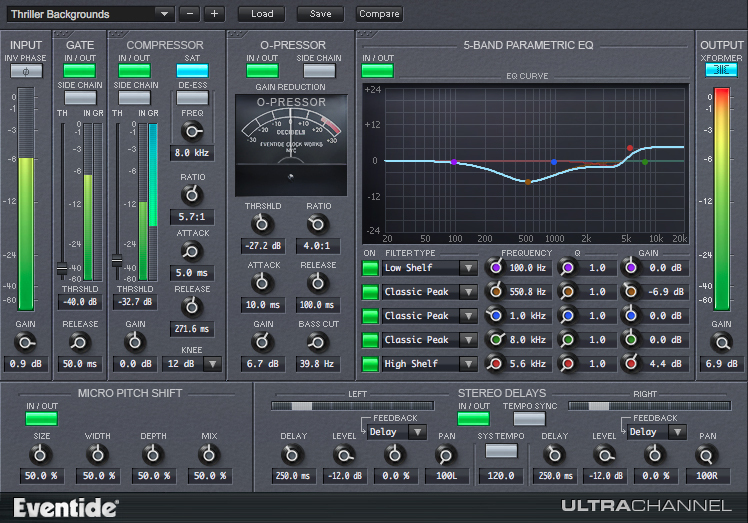 Until January 31st, Eventide offers its Ultra-Channel virtual channel strip with an 80% ultra-discount. 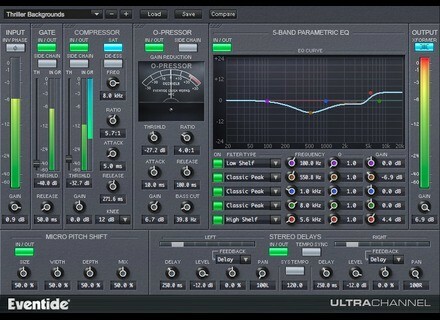 An advanced channel strip with several additional features (soft-saturation, transformer emulation, Micro Pitch and stereo delay just to name a few), Eventide's Ultra-Channel (which had been thoroughly reviewed here at AudioFanzine when it first came out) is normally sold for $249, but until January 31st 2016 it is available for $49 through Eventide's website and various participating resellers. A free 30-day demo is also available. IK Multimedia announces iKlip A/V IK Multimedia presents the iKlip A/V, a broadcast mount for audio and video recording with smartphones. Composing soundtracks? Let us recommend some soundware. Sampled audio collections have undergone significant change since polyphonic digital sampling first emerged in 1979. In the early days, the emphasis was on reproducing audio snapshots and then on entire instruments. A few years later, sampling short segments off records was all the rage, and it wasn’t long before entire musical vocabularies became available on CDs and eventually DVDs. Most recently, downloadable sample libraries have become a cost-effective means of getting the world’s finest sound designers to contribute their talents to your creative projects. Audified updates GK Amp 2, releases LE version Audified has updated its virtual bass amp GK Amp to version 2.2 and released a light edition (LE) version for which you're able to set your own price.